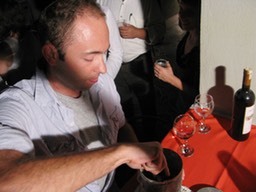 Traveling with a 1920's ice cream churn, Gabriel Adams travels along Asia's Silk road, making delicious iced desserts in museums, galleries and in public. 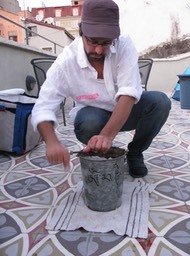 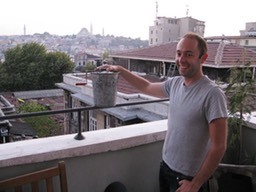 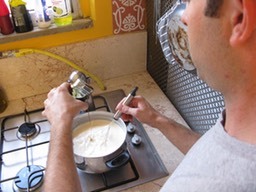 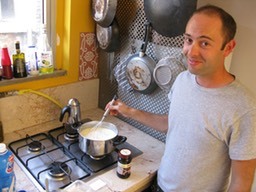 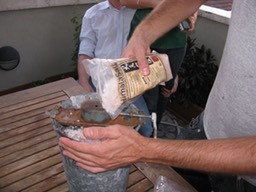 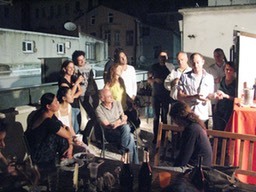 In Istanbul, Gabriel invented a new recipe in honor of Caravansarai's first birthday - Pekmez Ice Cream! 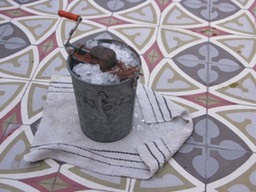 Yummy.